By Sia in Desktop. Updated on January 14, 2017 . Owners of the 4th generation Apple TV would be familiar with Aerial, a screensaver that showcases various cities around the world from an elevated position. For those of us who do not own an Apple TV, two Github users have ported the screensaver to Mac and PC, giving us access to one of the coolest screensavers around. First, download the required files from GitHub. If you’re a Mac user, you can find it at John Coates’ Github page; if you’re a PC user, you’ll find it at cDima’s Github page. Once the files have been downloaded and unzipped, Mac users can proceed to open the "Aerial.saver" file and confirm the installation. Assuming all goes well, Aerial will be available as a screensaver option. If Aerial.saver fails to open, you can just paste the file itself in "~/Library/Screen Savers". Once you’ve unzipped the downloaded files, right-click on "Aerial.scr" and choose the "Install" option. Windows will automatically install the file for you. 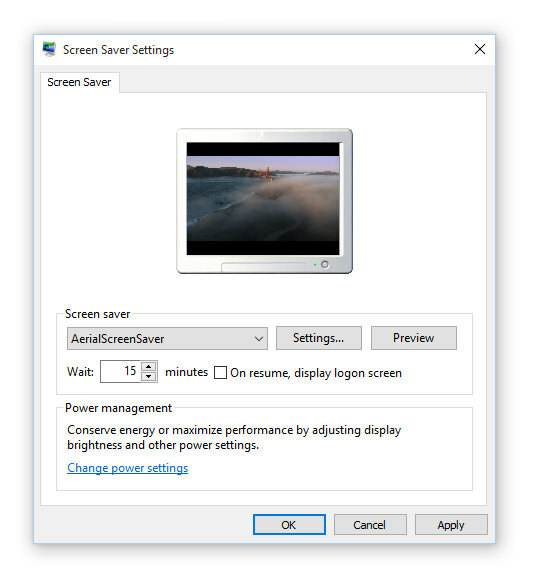 Once it is installed, you can find the Aerial option in the Screen Saver Settings window. Aerial for Mac and PC do come with some special features. For one, both versions of Aerial are loaded directly from Apple, so you can be sure that the screensaver will never be out of date. Additionally, those with multi-monitor setups can setup Aerial in such a way that it plays different clips on different monitors. 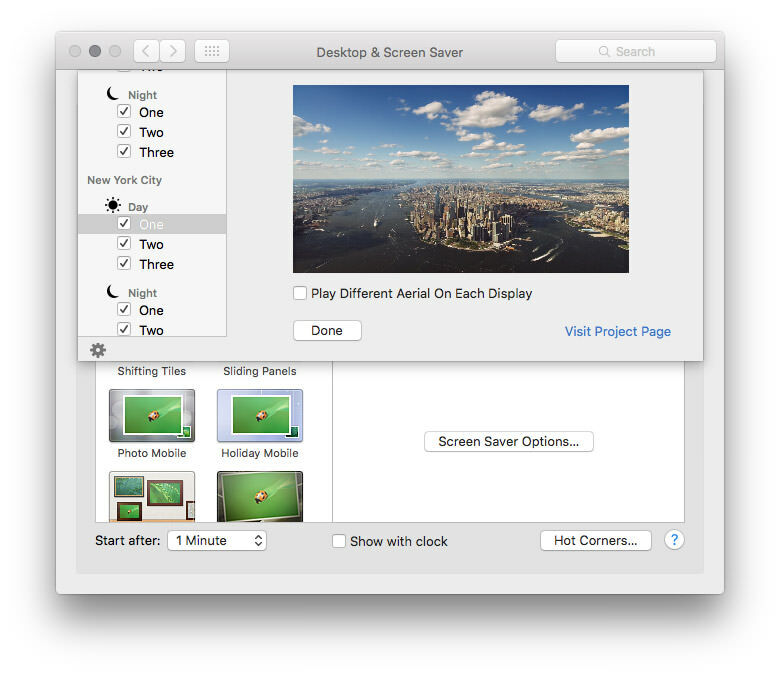 Mac users will also get a "Favourites" feature, allowing them to select specific clips that the screensaver will play.